Plaque is a sticky, colorless deposit of bacteria that is constantly forming on the tooth surface. Saliva, food and fluids combine to produce these deposits that collect where the teeth and gums meet. Plaque buildup is the primary factor in periodontal (gum) disease, including gingivitis. To help prevent plaque buildup, be sure to brush your teeth at least twice a day with an anti-plaque toothpaste such as Crest Pro-Health Toothpaste for around the clock protection against plaque buildup, and floss once a day. Adding a mouth rinse such as Crest Pro-Health Multi-Protection Rinse to your routine can help against plaque buildup, without the burning sensation of alcohol. Eating well-balanced meals and brushing after snacks will reduce the formation of plaque. 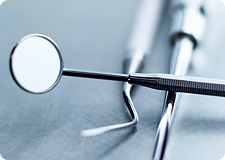 Visit your dental office regularly for oral exams and cleanings, during which your dental professional will scrape away any accumulated plaque with a special instrument.